Toronto – OPSEU President Warren (Smokey) Thomas is calling on the Ford government to stop using police to try to block workers at the privately operated cannabis warehouse from unionizing. OPSEU President Warren (Smokey) Thomas sent the following letter on Jan. 4 to Premier Doug Ford and Finance Minister Vic Fedeli calling for an urgent meeting over the growing problem of thefts in LCBO stores. The recent spike in thefts at various LCBO locations has Warren 'Smokey' Thomas — president of OPSEU — calling for the government to meet and implement further security measures at store locations. "The LCBO is making some progress, but in my mind, not enough," Thomas said. 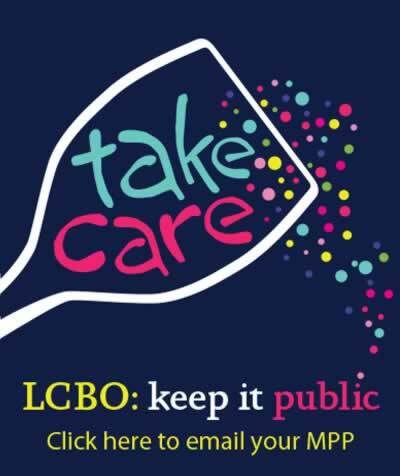 The sobering numbers look like this: more than 9,000 thefts at LCBO outlets in Toronto in the past four-and-a-half years (Jan. 1, 2014 to June 26, 2018), according to a crunching of Toronto Police Service data obtained by the Star. Introduction This paper was prepared by the Ontario Public Service Employees Union (OPSEU) in response to the Ontario government’s open consultation on cannabis legalization.